Although the god of thunder was not the first Avenger, he certainly is one of the mightiest. 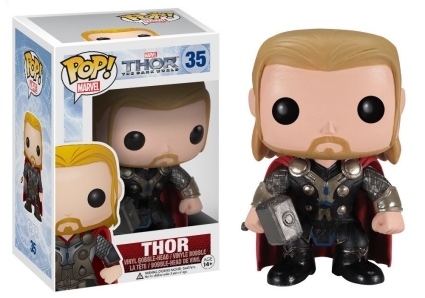 Hailing from Asgard, the Son of Odin is actually the first to kick off the massive Pop! Marvel line. 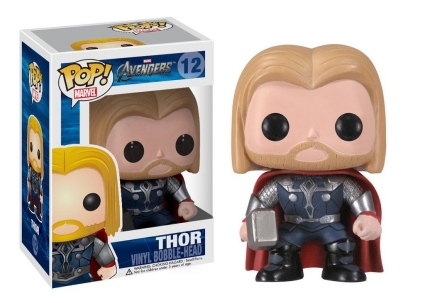 Despite this fact, there are fewer Funko Pop Thor figures than most other primary Marvel characters. 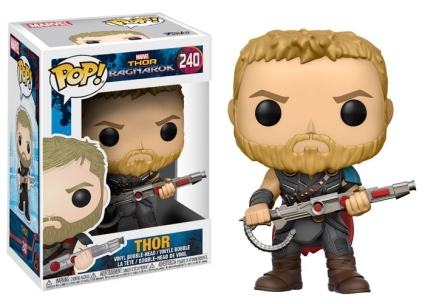 Only those deemed worthy are able to pick up Thor's magic hammer, which might best explain why nearly every Funko Pop Thor figure is posed wielding Mjolnir. 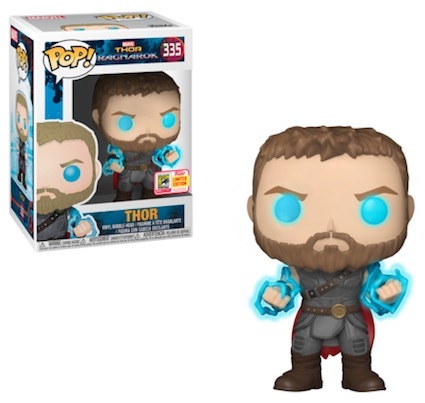 Presenting Chris Hemsworth as the title character, the Funko Pop! 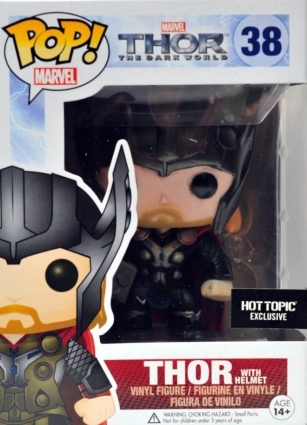 Marvel line began with the first theatrical Thor release, marking Thor's debut box as #01. 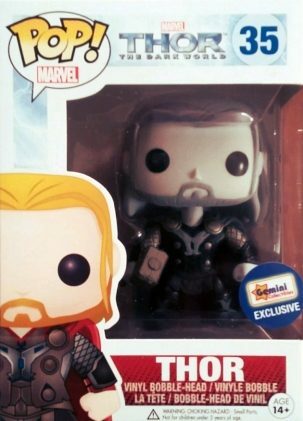 The second film, Thor: The Dark World offers another main figure while a black-and-white variant is issued exclusively through Gemini Collectibles. Working into the larger Marvel Universe, sets for the Avengers and Avengers: Age of Ultron each include a single figure of the blonde warrior. 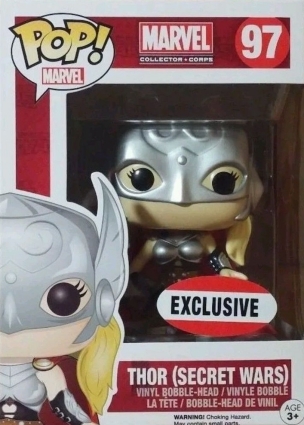 Other Thor options come with the Marvel Collector Corps Jane Foster Thor from Secret Wars and an exclusive 2015 San Diego Comic-Con Funko Fundays Retro Freddy Thor. 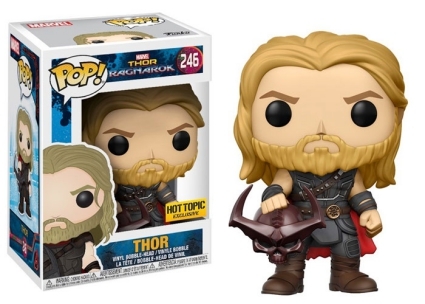 Below is the full checklist for the Funko Pop Thor vinyl figures, sorted chronologically by the individual movie releases. It includes all known variants and exclusives. The correlating visual guide tab provides images for each figure listed in numerical order. FUNKO POP! 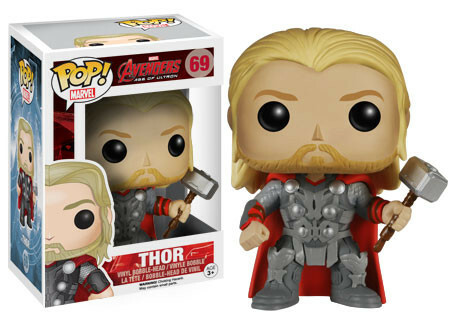 MARVEL 438: THOR (CLASSIC) VINYL FIGURE! ECCC! Mint Condition! 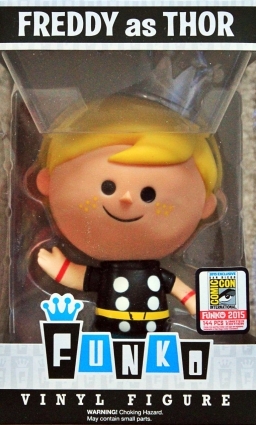 Funko Pop Marvel 438 CLASSIC THOR ECCC 2019 Spring Convention Will Come In CASE! 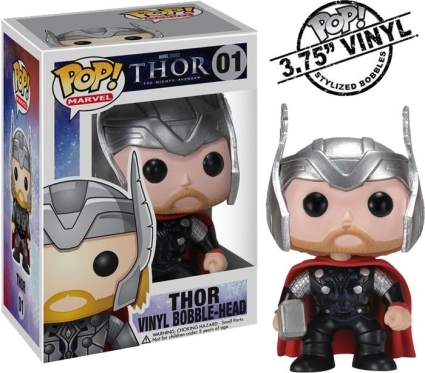 Funko Pop Marvel Studio Gold Chrome : THOR #381 Vinyl w Case "MINT"
Thanks for the list. I appreciate it.